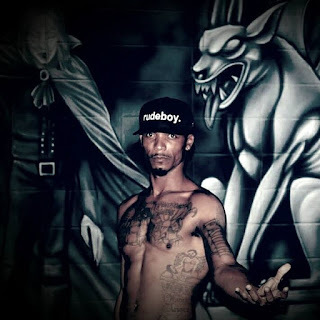 Uzi Dre is a hip hop artist born in Clearwater, Florida. At the age of 13 Uzi Dre found a break from the street life by going to recording studios. Through the mic Uzi expressed his experience on the streets as a product of the ghetto. After building up street credit in the game, Uzi took a fall for dealing in drugs. He served a large amount of time in Florida’s D.O.C, but continued to advertise his talent and passion as an artist in Florida’s D.O.C. After Uzi’s release from state custody he made his musical presence known by opening True Fiends Entertainment and performing live events with DJ Kool, DJ Magic Mike, Cypress Hills, Jungle Brothers, Ziggy Marly, U2, Rated R, Yuck Mouth, Ice T, Evil-E, Trigga the gangsta, Smooth the Hustla, Clearwater all Stars, T-Nittie, To-Be-Real, Rob Skiza Motel Boyz, Ex-cons, Dirty Doc, The Devious Click, Will Till, Just Us, Red Rock & Jock, Mr. Zell, Squirrel James, Karlie Redd VH1 Love & Hip Hop and Project Pat. Uzi has worked with producers 1 D, Blitz, Napolian, Holly Rod & Dre, D. Underwood, Tony P and Timothy 'Krazyfigz' Walls. Through Promotion company Lee Entertainment Louie Dee and Adam Invandino Uzi has hosted events with Coco (Ice T’s wife), Warick Dunn (NFL Player) and Winky Wright (professional boxer). While working close with radio personality host 3rd Leg Greg, Uzi recorded the radio commercial for the Kia car company promoting the Kia Rio. Uzi has made a huge impact in the streets and the internet with his music. He is not an illusion of entertainment; Uzi Dre is hip hop. In the words of Uzi Dre, “The ghetto life made hip hop so hip hop is me”.